A brilliant run for anyone looking to get out of the city for a few hours. The route takes you on winding roads and two big staircases. 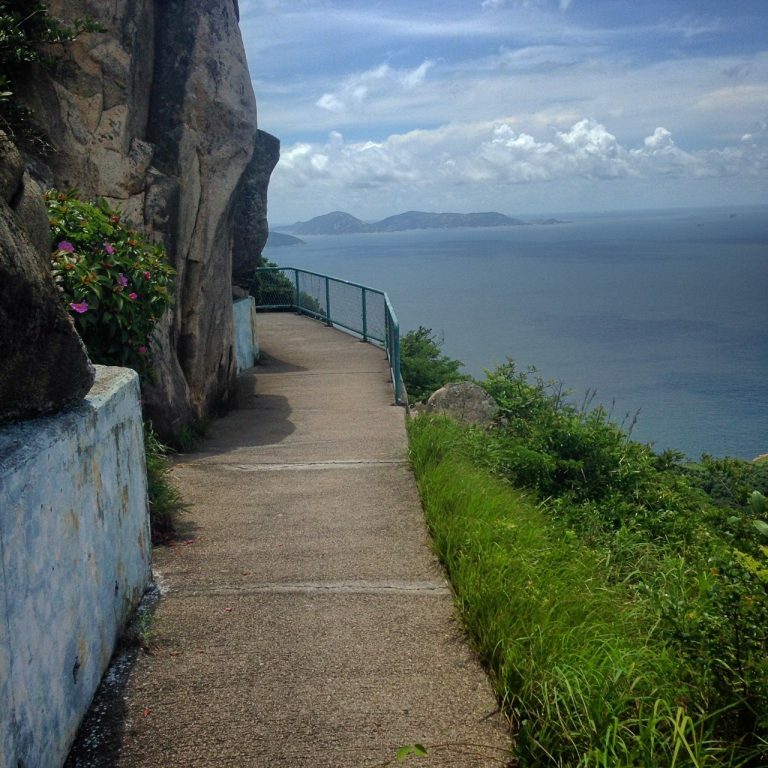 Route: Start from the beach, head up the hill and towards Sok Ku Wan on the other side of the island, just before you reach the main village (at the big opening with the temple), take the stairs on the right side up onto Ling Kok Shan (with the big communication tower), with incredible views this is one of our favourites spots. Head down the other side, turn left once you hit the main path and a short run brings you to Sok Ku Wan Pier where there are many restaurants and cafes for you to hang out in before heading home. From Central Pier no 4 get the ferry to Yung Shue Wan. From here, walk to Hung Shing Ye Beach to start (15 mins). At the finish you can get the ferry from Sok Ku Wan back to Central.